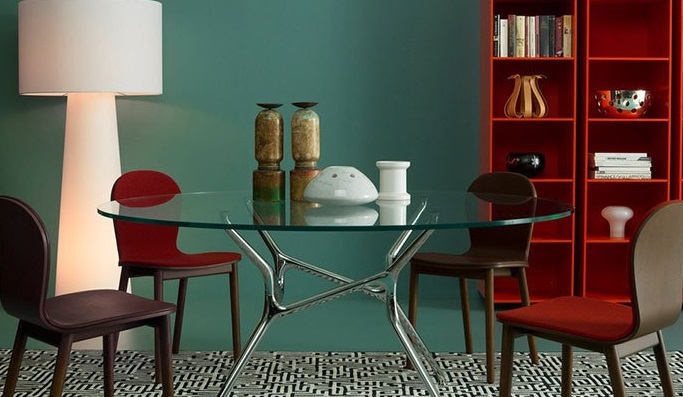 Conestoga Wood Specialties offers more than 1,200 published species/stain/glaze combinations, plus the new Prism Paint program that includes nearly 1,100 colors, and more than 2,100 custom stains. 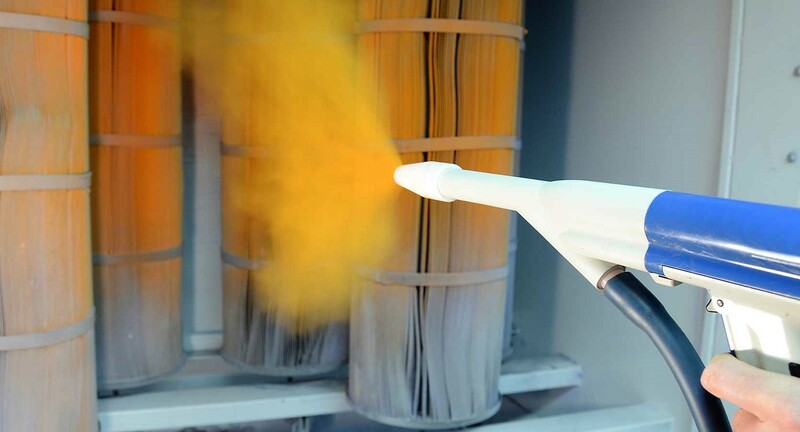 “With all these colors to manage, our upgraded equipment helps us run our operation much more efficiently, and our new color lab allows us to better test the quality of incoming shipments of finish before it goes into production. We can also react much faster to customer requests for custom color matches,” says Jeff Eichenseer, director of marketing. Revamping the layout of the finishing area can be an arduous process, but Conestoga Wood Specialties not only accomplished the task in a timely manner, it did so while still retaining its practically perfect on-time shipping record. Renown as one of the largest cabinet component suppliers, the East Earl, PA-based company undertook the renovation as part of its quest to increase quality and improve its environmental sustainability. Although the basic finishing operation is similar to what the company had prior, ”we have become more efficient in how we manage the process. Depending on the product, we can utilize automated equipment instead of manual spraying,” Eichenseer says. Prior to the revamping, solid wood components were whitewood sanded on a QuickWood sander. Next, stains were applied by hand and rubbed for grain definitions, while solid and opaque finishes were applied via an air-assisted-airless gun. Parts would then undergo a second sanding operation prior to being sealed and topcoated on a Cefla Ecosprayer. “Much of the process remains the same, but we have added a second Cefla and improved the finishing work areas and our finishing lab for testing and stain matching. The bulk of our stains and glazes are still hand applied, but we utilize the flatlines for the vast majority of the sealing and topcoating processes. The flatline process increases our material transfer efficiencies and provides a more consistent finished appearance,” Eichenseer says. 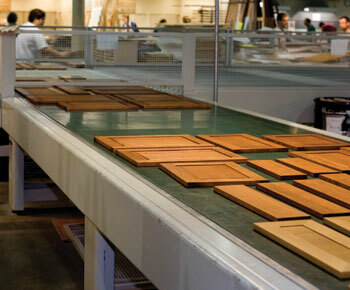 To create space for the second Cefla, Conestoga altered the finishing layout, including the spray booths. “During the move we took the opportunity to enlarge the stain booths, improve the lighting and add staining capacity there as well. The larger booths allow us to view a greater number of components side by side so that doors within a kitchen are more consistent in color. We upgraded our opaque glazing area as well, improving the ventilation in our work tables and enhancing the lighting to ensure a better color matching process,” he adds. According to Eichenseer, the newer wood working equipment supports the company’s environmental initiatives. 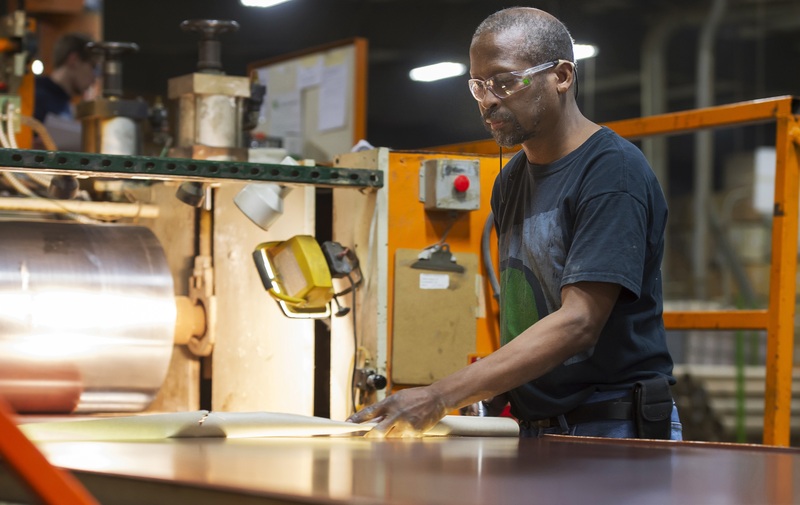 Conestoga Wood Specialties has won numerous awards for its environmental excellence and is a participating member of the Kitchen Cabinet Manufacturers Assn.’s Environmental Stewardship Program.